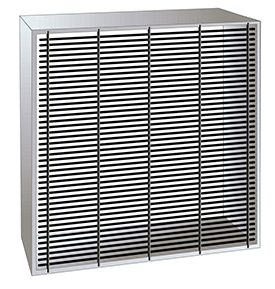 Complement your ventilation with a wide selection of fan shutters, fan guards and weather hoods from Metallic Products. 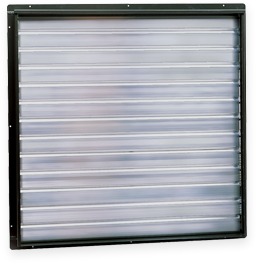 Designed to stand up against the elements while integrating seamlessly with your metal buildings ventilation system, our wall-mount fan shutters and accessories help maximize airflow and comfort within a given space. “IG” and “VIG” series Industrial Fan Guards should be used on all fans mounted less than 7’ above the floor to meet OSHA requirements. The grill features a black powder-coat finish. The “VIG” guard for “VI” series fans consists of the grill only which attaches to the fan housing on the intake side. 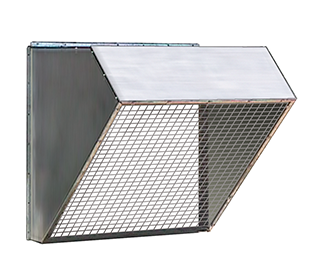 The “IG” guard for “V” series fans is complete with 14″ deep galvanized housing and grill. It mounts on the intake side of the fan and is shipped unassembled.